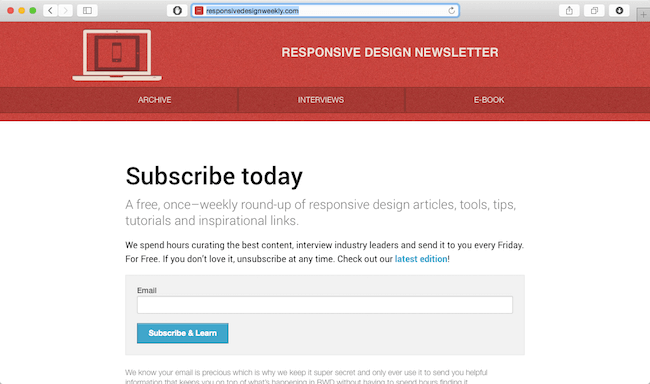 20 fantastic web development newsletters worth reading! This article was brought to you by Usersnap – a visual feedback & bug tracking tool, used by software companies like Facebook, Google, and Microsoft. Get your free 15-day trial, too. 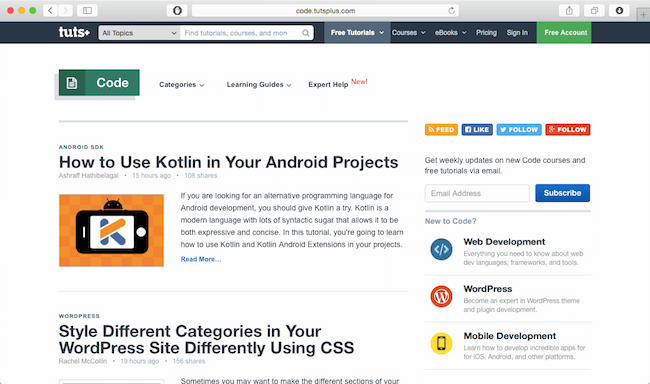 Recently I’ve present you a collection of the best web development blogs and podcasts available. If you’re like me and more like an inbox guy spending a ton of time in your inbox, newsletters are your way to go in order to consume new content. However, it seems like there’s more great stuff to read today than ever before. And still, finding those great stuff takes more and more time. 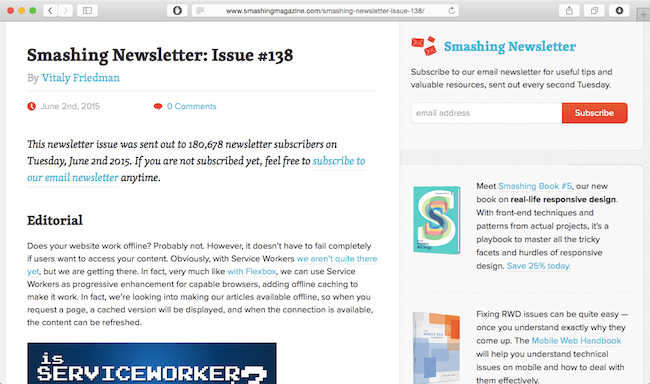 Because of this, I’m a huge fan of newsletters, especially if they contain some awesomely curated content. Here’s a list of 20+ great web development emails & newsletter you should definitely subscribe to. Before I’m going to present you the best web development newsletters every web developer and designer should read, you should prepare your inbox for some awesome content. Step 1: If you’re using Gmail, I’d recommend not using your regular email address, but rather making use of the embedding of the “+” sign before the “@”. Sign up to any of newsletter with “myname+newsletter@gmail.com”. So if your regular email is Johnny.cash@gmail.com simply add johnny.cash+newsletter@gmail.com. If you receive an email to “yourname+newsletter@gmail.com” it will 1) skip the inbox and 2) will be labelled with “newsletter”. 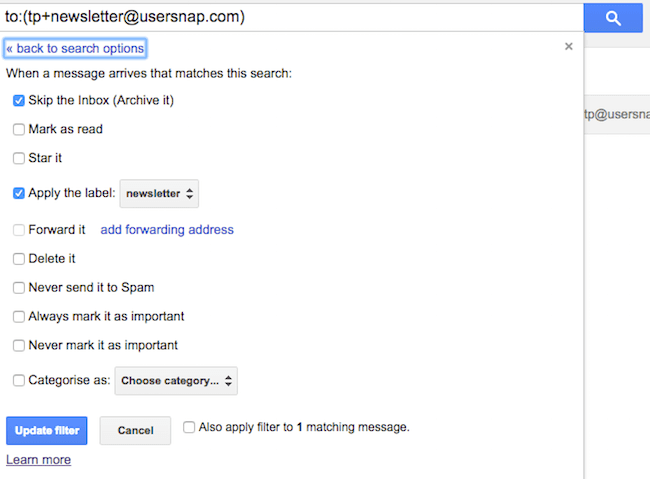 By setting up this filter, all newsletters are stored in one place/folder and won’t flood your inbox. Now, you’re good to go. 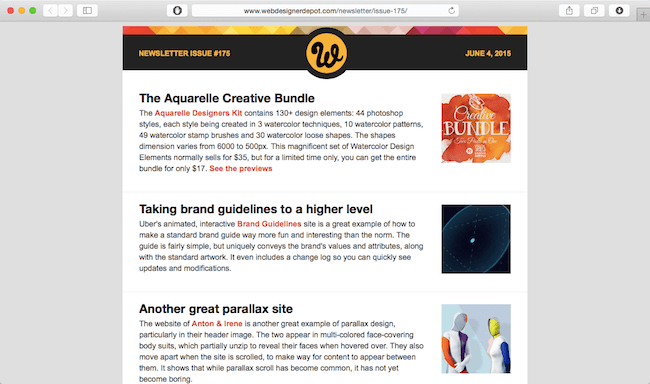 Let’s take a look at the best web development newsletters available. 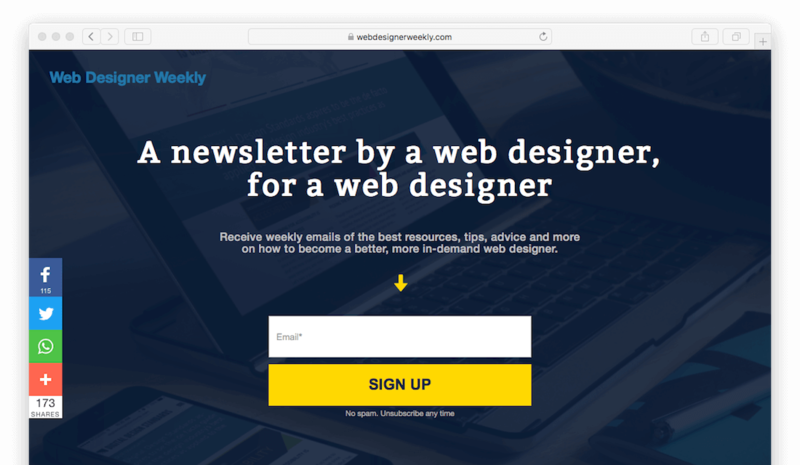 Web Designer Weekly is a new newsletter by a web designer, for a web designer. It’s a web design newsletter curating the best resources, tips, advice on how to become a better web designer. If you’re looking for new ways to step up your web design and UX knowledge, you should give this newsletter a try. 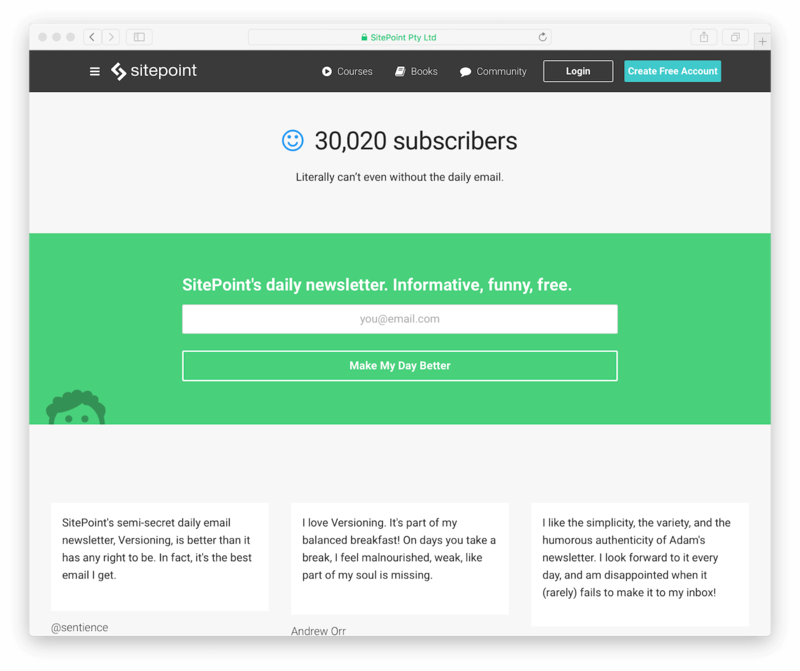 As a web developer or designer, you probably know SitePoint. They publish interesting articles, tutorials, books, and courses regularly. If you’d prefer that content delivered straight to your inbox, you should give SitePoint’s newsletter Versioning a try. Versioning is a daily newsletter featuring a handpicked selection of the most important things in web dev and design – as well as some fun content, too. The great things about round-ups is that those newsletters won’t flood your inbox, rather than deliver great content once a week/month/etc. 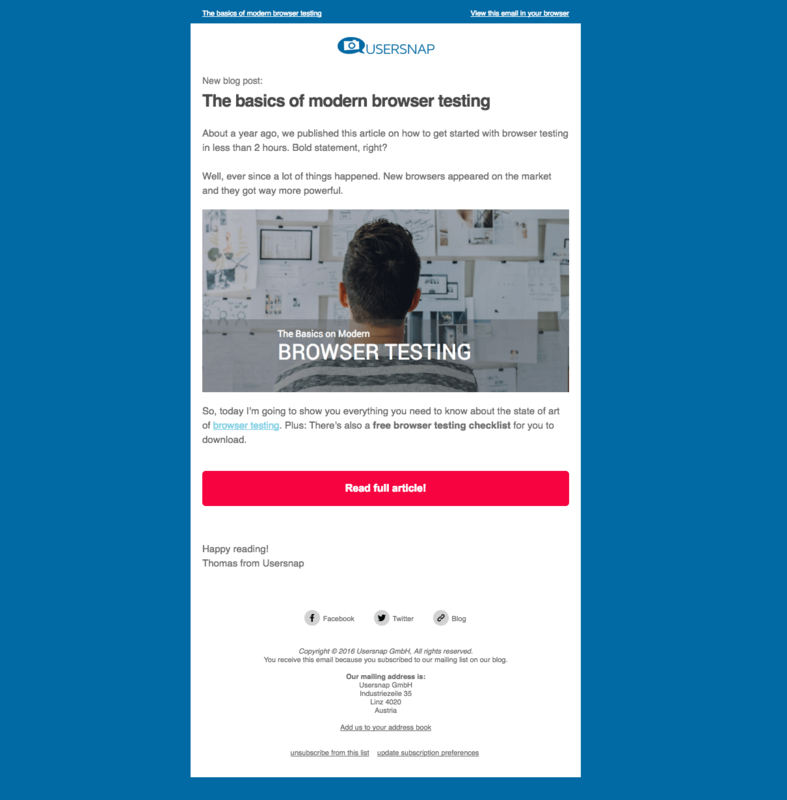 The Responsive Design newsletter is definitely your go-to resource if you’re looking for responsive design tips and tools in a nice weekly overview. We at Usersnap aim to make you as web developers and designers more successful. One way we do that is by providing you valuable content through the All About Web Development newsletter. We only send emails twice a week. If you’ve read our post on the top web development blogs, this one should sound familiar to you. Webdesignerdepot.com is a great web development & web design blog with some awesome articles on various topics. It’s packed with quick bits of news, as well as inspirational long reads and cool new services & tools. 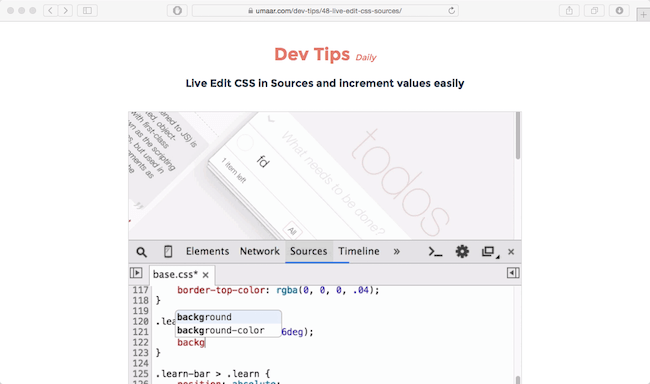 Similar to the webdesignerdepot blog, tuts+ provides some awesome content on interesting tutorials and reviews on web development related topics. 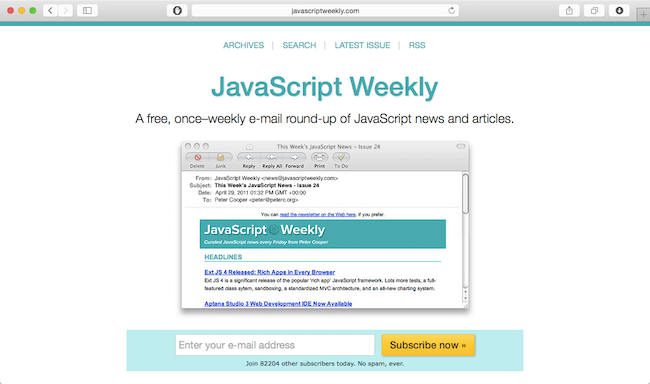 By subscribing to their newsletter, you’ll receive weekly updates on new code courses and web development tutorials. 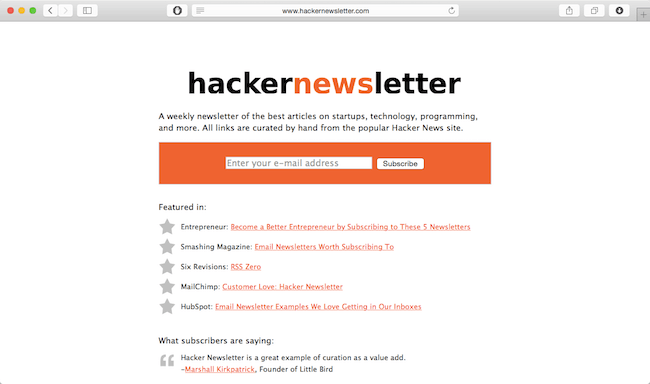 If you enjoy hacker news, the hackernewsletter is your go-to newsletter. Basically, it’s a weekly round-up of the best articles on tech, programming, and startups. All links are curated posts from hacker news. 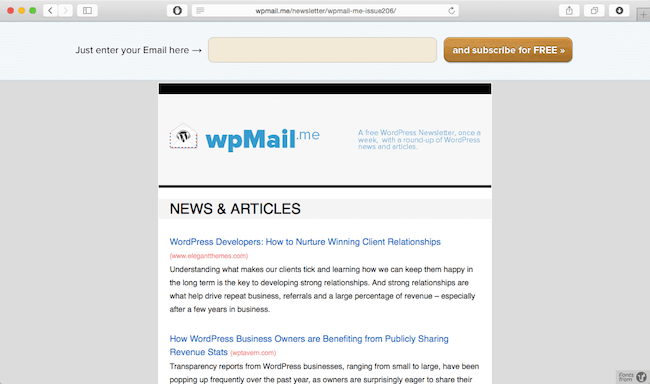 If you’re interested in latest WordPress developments, you should check out wpmail.me, which is a weekly newsletter with the best WordPress resources, news, and articles. 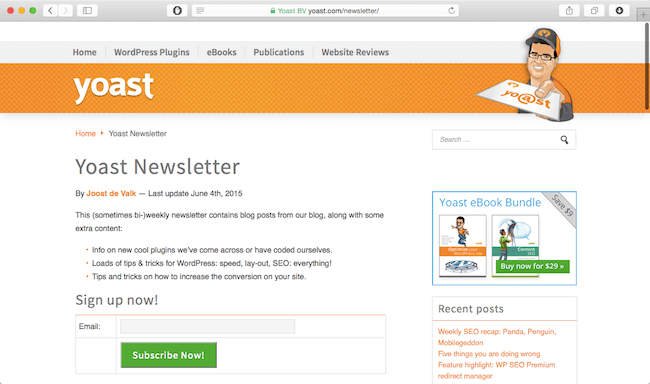 If you’re developing for WordPress, you probably stumbled upon some Yoast plugins for WordPress already. Especially the Yoast SEO plugin is probably the standard of WordPress plugins. The great thing? Yoast also provides a weekly, sometimes bi-weekly newsletter, including some great WordPress tips. 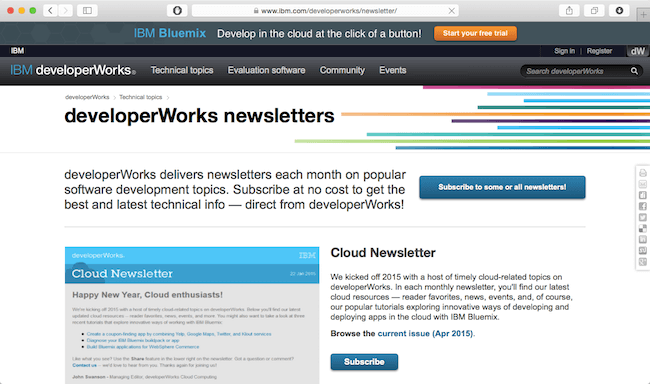 The developerWorks newsletter is curated by IBM engineers and offers you some great content in a large number of categories – such as cloud computing, Linux, Java, and a lot more. You’ll also find ebooks, studies and other great content in their monthly newsletter. Weekly newsletters are quite prominent in the web development and software field. 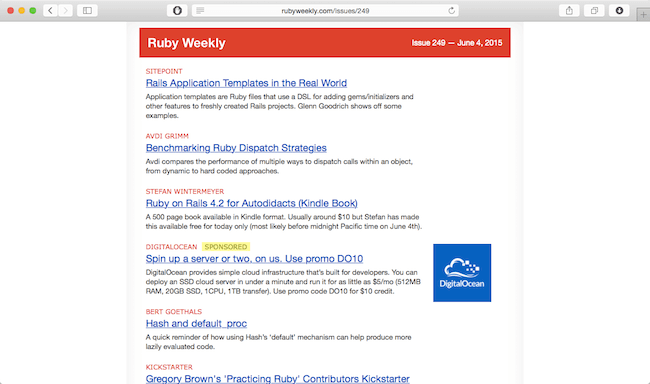 The Ruby Weekly newsletter brings you the latest Ruby articles and news directly in your inbox. 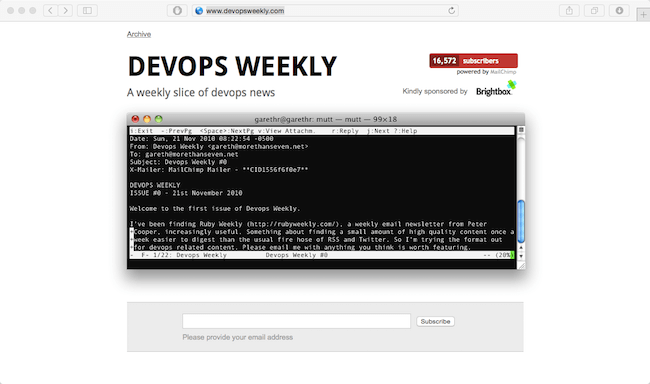 With the DEVOPS WEEKLY newsletter, you’ll get a weekly slice of DevOps news delivered to your mailbox. 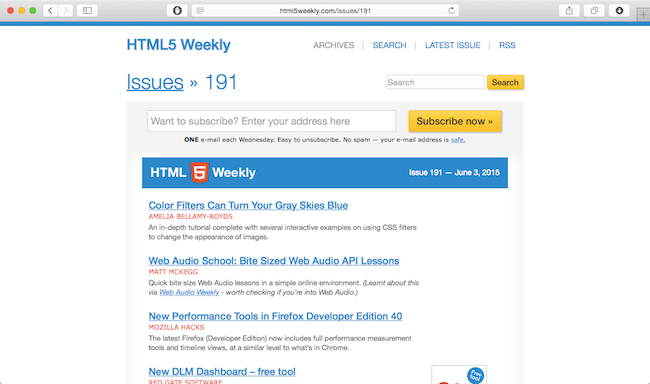 This newsletter features some great tools and articles that every developer might enjoy. Smashing Magazine is an awesomely great news site offering some high quality content on a broad variety of web development and web design related topics. By subscribing to their bi-weekly newsletter, you’ll get the best articles direclty sent to your mailbox. 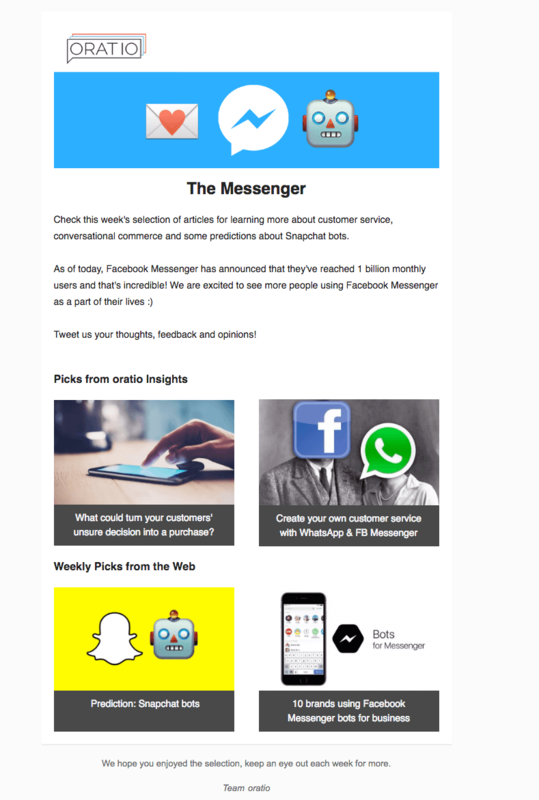 The Messenger is one of the latest newsletters I subscribed to. The awesome people at orat.io are curating content in the areas of bots and messengers. So if you’re thinking about getting into bot development, you should definitely subscribe to The Messenger. If you prefer smaller bits of interesting content, I’d definitely recommend to give Dev Tips Daily from Umar Hansa a try. You’ll receive a developer tip, mostly in form of a gif 5 days a week. If you’re interested in the latest industry news, the TechRepublic Daily Digest might by your go to newsletter. TechRepublic is sending you a summary of the best IT and tech articles once a day. 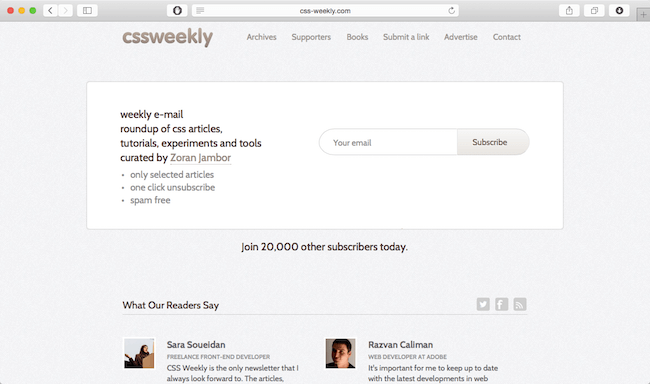 CSS Weekly is a weekly round-up containing the best tutorials, experiments and tools for CSS. Besides the HTML5 Weekly, it’s a great resource for frontend developers and those who want to learn more about CSS. This one isn’t really a web development newsletter, but a much broader newsletter for tech startups. 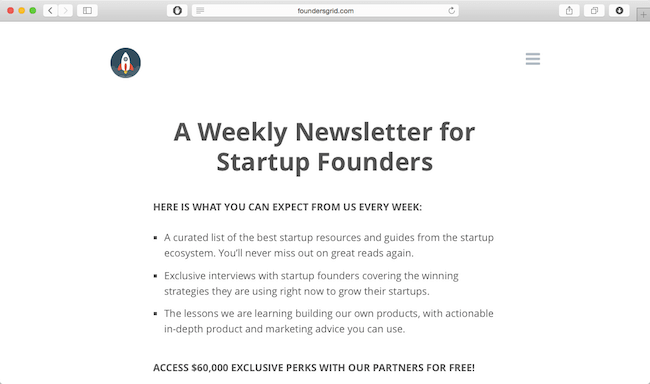 The newsletter calls itself a newsletter for startup founders. However, I do think it’s a great resource for developers and techies as well, since it provides some great resources on work productivity, growth and scaling your tech business. Ever been interested in what other people are reading? Then the Foundcy newsletter is your newsletter. 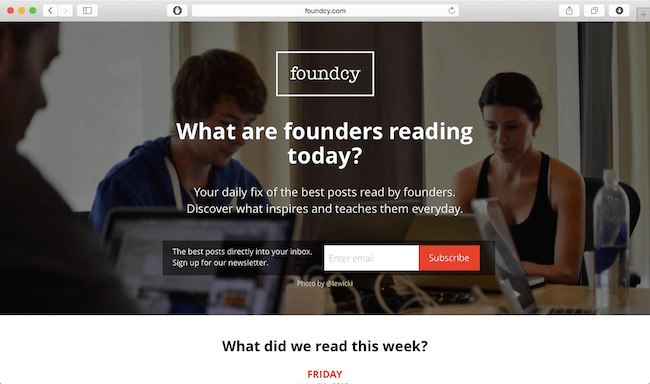 This great newsletter by Fernando Martinez provides an insight what other founders are reading. Since subscribing for the weekly newsletter, I don’t want to miss them in my inbox anymore. 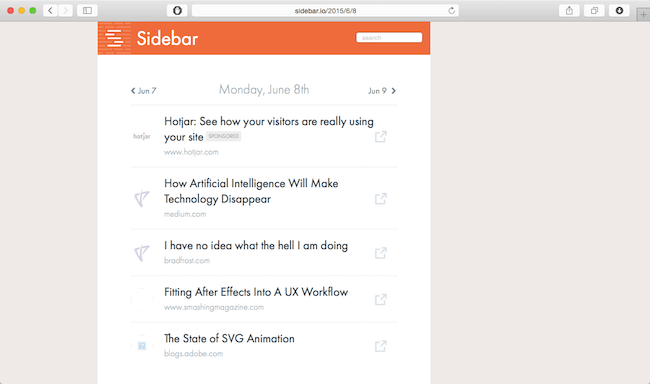 The newsletter from sidebar provides a list of the 5 best web design links of the day. 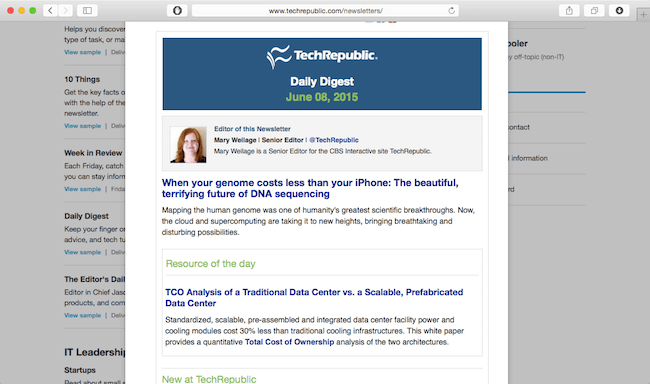 It’s curated manually daily, however you can choose between daily and weekly newsletters. 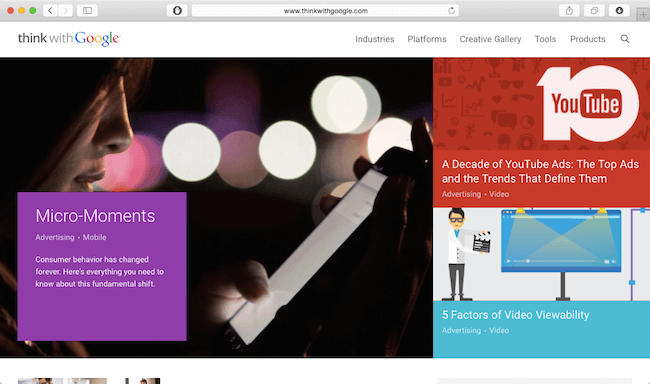 The think with Google platform is a ultimately great resource for any tech related trend. By signing up for their newsletter, you’ll receive news market researches, case studies on ecommerce- and tech directly to your inbox. 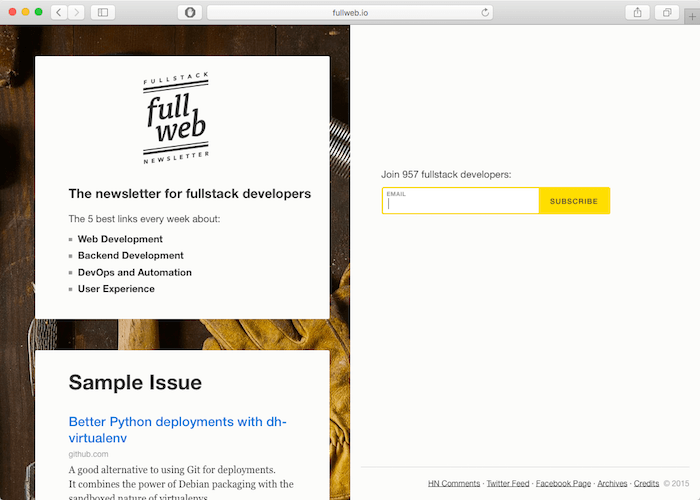 Fullweb Weekly is a newsletter targeted to full stack developers. Every week subscribers will receive 5 links in the areas of web development, backend development, DevOps and user experience. 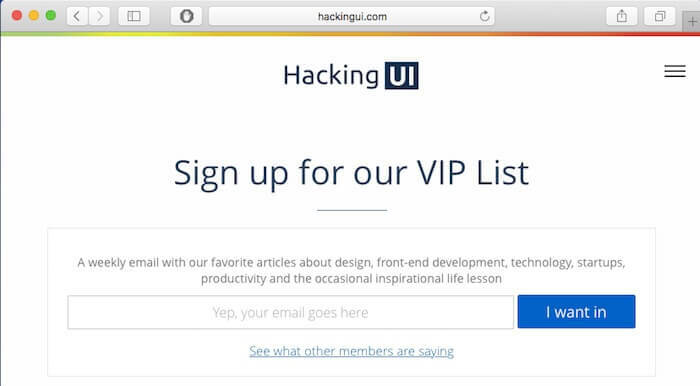 Another great email resource is the newsletter from HackingUI. The HackingUI newsletter is sent out once a week, including articles about design, front-end development, startups and some occasional life lessons. Make sure to give the newsletter a try! 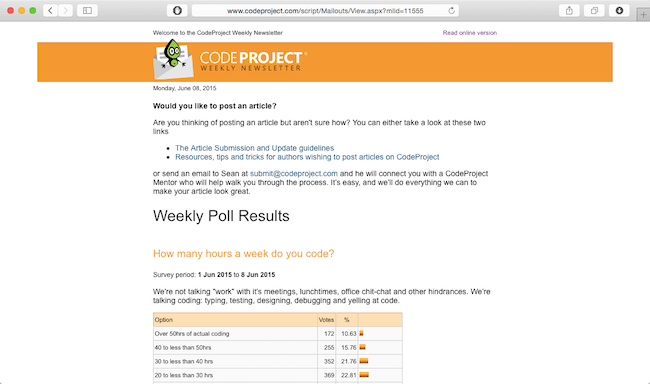 If you’re into Python or if you’re planning to learn Python, you might find Pycoder’s Weekly as a great resource! 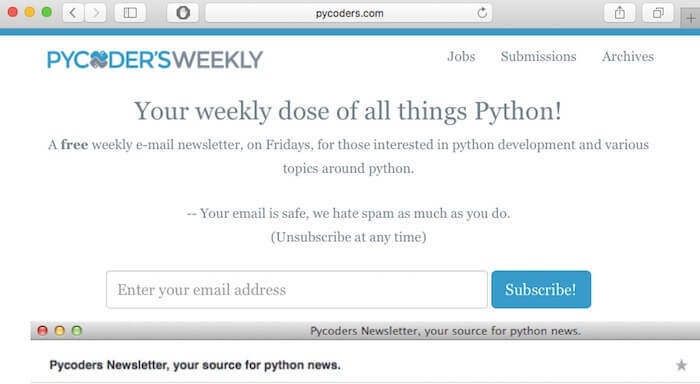 Sent out every Friday Pycoder’s Weekly covers interesting news and articles around the programming language Python. Wow..that was quite a lot. Any newsletter missing? Let us know in the comments! PS: Also make sure to subscribe to our blog newsletter in order to get updates on new blog posts to your inbox! This article was brought to you by Usersnap – a visual bug tracking and user feedback tool for every web project. Get your free 15-day trial now! PPS: Awesome – you made it until the end of this article! Message me at tp@usersnap.com and get Usersnap 1 month for free (instead of 15 days)!